Any time you’re running an ad, on Facebook or on any other platform, you’re going to be monitoring its performance. It’s understandable, of course: you want the best performance possible, and you won’t know what’s good and what’s not if you aren’t tracking. When you set up a Dynamic Ad on Facebook and it isn’t performing, it’s time to leap into action. Figure out what’s wrong and fix the problem so you can get back to making money. So what even is a Dynamic Ad on Facebook, and how is it different from a normal ad? Let’s take a closer look before we get into all of the troubleshooting. If you’re already aware of the differences and intricacies of this type of ad, feel free to skip this section. First of all, remember how traditional ads work. You create an ad and write specific copy, create and attach a specific image, and target a specific audience. You need to hope that your analytics and your business intelligence have pointed you in the right direction. Your goal is to match the audience with the ad, so you’re reaching the right people at the right time with the right content. Now consider a kind of ad I like to promote, and which can prove very effective in a number of situations. This kind of ad is the remarketing or retargeting ad. Essentially, the way it works is to integrate a tracking pixel in your site somewhere, be it a landing page, a product page, or even an add-to-cart confirmation page. When someone lands on one of those pages but then does not go on to make a purchase, they are added to a remarketing list. You can then use that list as your target audience. You’re marketing to them again, hence the name remarketing. With a remarketing ad, however, you still need to match the audience to the ad you develop. If you have tracking code on every product page on your site, you’re either building one list for anyone who has looked at any product in your shop, or you have to be tracking each product individually. Then either you’re running small, narrow, low-volume ads for each product, or you’re running larger volume but more broad ads for everything in your store. 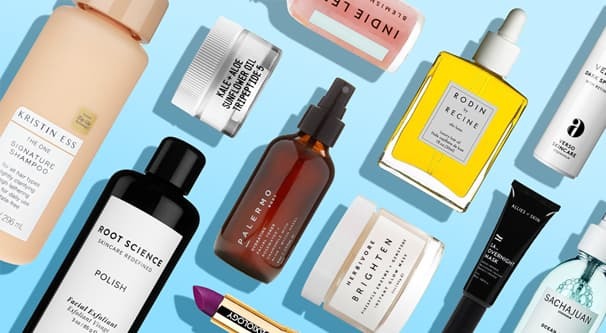 This can work for some shops, particularly when all of your products are similar in nature – or when you only have one or two products – but it’s not necessarily the most effective. It’s still a good practice, but we can do one better. 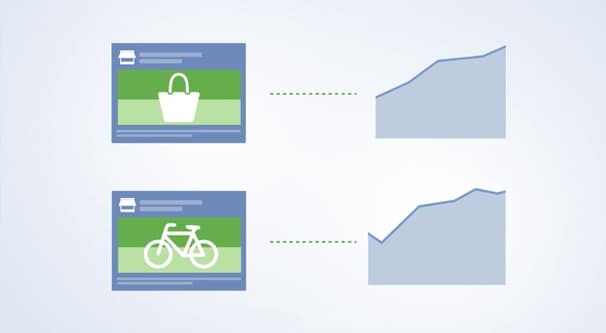 A Dynamic Ad as presented by Facebook is that one step better. With a dynamic ad, you essentially create “ad copy” for every product that you’re tracking. 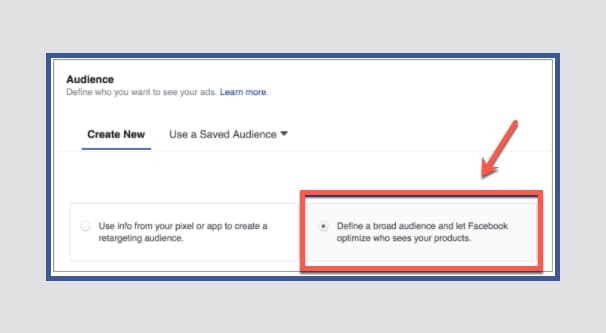 You create one ad, with the target audience of “everyone who has visited a tracked page on my site.” However, Facebook then does the segmentation work behind the scenes. They track who visits what page, and display the appropriate ad copy for that given product, without you needing to manually make a dozen ads with a dozen different smaller target audiences. It’s dynamic, because you create one ad that adjusts itself dynamically to match the specific audience member who is viewing the ad. Dynamic Ads can display as carousel sliders, as single images, as a grid layout for products, or as a “lifestyle layout” for products. What the heck is a lifestyle layout? A grid layout and a lifestyle layout work the same way with the same format, but act slightly differently. For a grid layout, each image in the grid is a product image. Picture different shirts on hangers, for example. For a lifestyle layout, you might have images of models wearing your products while being active in their lives. 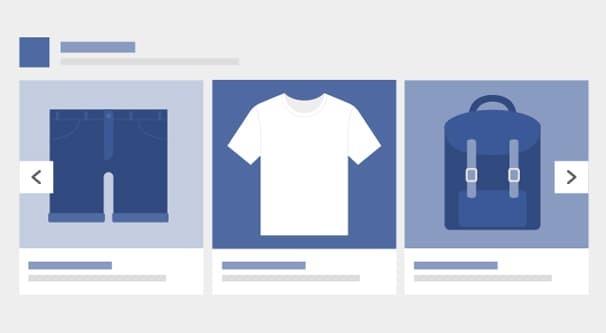 A man skateboarding – to use an example from Facebook’s page – might have his shoes, his messenger bag, and his shirt all tagged as individual products from your store. It’s worth noting that for grid-style ads you get to specify one more compelling cover image, but the rest of the images are product images pulled from your store page. With a lifestyle ad, you choose all of the images, so they can all be more dynamic than product images. This way, your customers can see your products in action in a typical active lifestyle. This can be something that attracts people to your brand, and can convey additional information about your products, like how they match with each other or how they hold up to active use. It is, obviously, better for some categories of products than others. A selection of computer hardware might not work so well, for example. You can see why these dynamically formatted ads would be a great prospect, but there are plenty of ways this can go wrong. Let’s look at possible reasons why your ads simply aren’t performing. You need a lot of tracking code applied to your site or your app if you want to successfully use remarketing, and that includes Dynamic Ads. 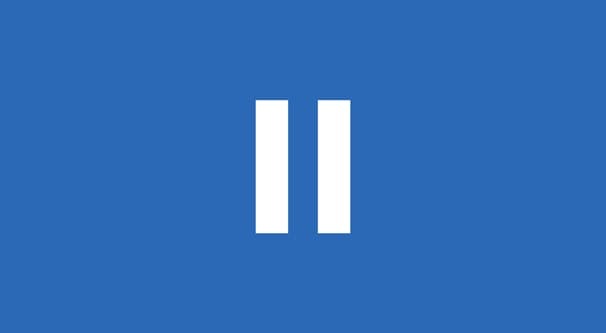 According to the Facebook help center, you need to implement either the Facebook Pixel (for your website on both desktop and mobile versions) or App Events (for your app). Make sure that you didn’t just slap the code on your site or in your app, but that you also chose the right events to track. 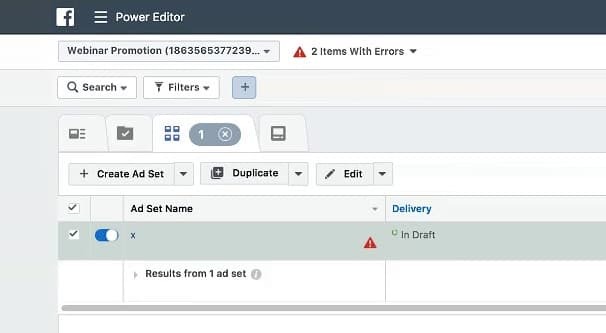 You need ViewContent events on your product pages, AddToCart events if you’re tracking cart adds, Purchase events to remove customers from your list, and optionally the Search and ViewCategory events to track other forms of interest in the appropriate fields. On top of that, you need the right IDs to your products so they can be tracked appropriately. If you have no IDs or use the same ID for everything, Dynamic Ads will not function properly. Once all of this is set up, you need to associate your tracking events – either the Pixel or the App Events – with your catalog. You can do that by following the steps outlined here. 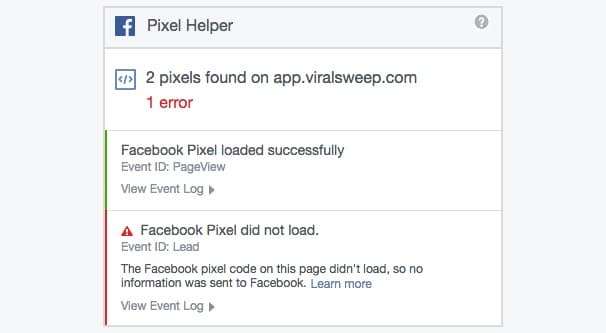 If you think you might be having issues with the tracking pixel itself, you can use Facebook’s Pixel Helper here. This should walk you through the more technical troubleshooting you might need to do. There are a lot of different ways in which the catalog code – or the code for the Dynamic Ads themselves – can be broken. A simple typo can disable part of your catalog, so it’s worthwhile to check everything over. In particular, you want to make sure that your catalog is up to date and that every individual product has a unique identifier. If new products did not have unique identifiers added to them, they won’t show up as part of Dynamic Ads. You also need to make sure your products adhere to Facebook’s content guidelines. 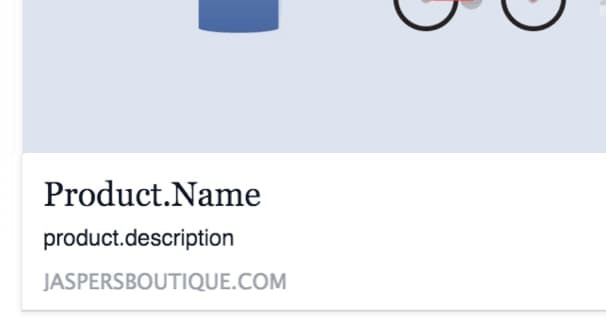 Even though your storefront is not on Facebook’s domains, if you’re using ads that pull data from your page, that data needs to adhere to their standards. This means viable high-resolution images and copy that does not violate content policies. Perhaps I should have led off with some of the less technical issues in case your problem was something simple, but I choose to give my readers enough credit to assume the problem is trickier than “did you make sure your monitor is plugged in?”. This is an issue with any kind of remarketing ad. You need a sufficient level of traffic to make use of such an ad. If there aren’t very many people viewing your initial ads or making their way to your website, you won’t have a very large audience for your remarketing Dynamic Ads. This might be a problem if the way you’re measuring your ad performance is by budget consumed or by raw volume of customer acquisition. If you only have 100 people in your remarketing audience and only 2 of them convert into customers, measuring by the volume of new customers is going to show a very poorly performing ad. The solution to this is, of course, just spending more money on traffic acquisition. Write some guest posts for backlinks, spend more money on ads that lead to landing pages and store pages, send out direct mailers, do whatever you have to do to get more eyes on site. Entire websites, not just entire blog posts, have been written just covering this topic, so there’s plenty of information for you to peruse. Have you tried turning it off and then on again? Facebook ads are a little complicated, and you can turn them on and off at three different locations. Individual ads can be enabled or disabled. Above that, an entire ad set can be enabled or disabled; even if the individual ads are enabled, if the set is disabled they won’t run. The same goes for the ad campaign level; you can have ads and ad sets enabled, but if the campaign is disabled, the ads won’t run. Make sure your ads are turned on at all levels. You might also want to check technical reasons why your ads might not be running. Do you have payment information that is valid and not expired added to your account? In some cases, using prepaid vouchers means you could run out of money. Even if your ads are enabled, no money means no exposure. A sub-par budget limit can also restrict the visibility of your ads. If you aren’t willing to spend much money, PPC might not be for you. 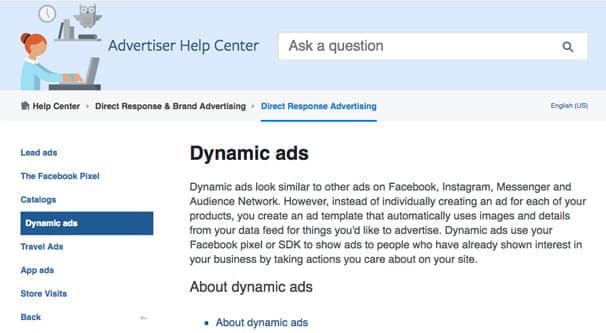 When you’re setting up Dynamic Ads, you can choose the audience you want to target. Even though they’re technically a kind of remarketing ad, you aren’t actually required to choose a remarketing audience as your target audience. You can, for example, use a generic cover copy and run the ads as wide-spectrum audience targeting. The dynamic retargeting element will then customize the ad for the people who have been tracked on your site, but you’ll still be able to reach others with the more generic aspects of the ad as well. It’ll be less effective but higher volume, which might be just what you need. You might also have accidentally chosen an incorrect audience when creating the ad. I’ve seen a few people choose small test audiences rather than their real remarketing audience because they were similarly named. Just double-check who you’re targeting. This is a similar problem to the one above. Maybe your fashion brand set an audience and a catalog for jewelry and another one for clothes, but you got the two mixed up when you created the two individual Dynamic Ads. It’s a simple change to fix them, but until you do, your ads won’t match your audience and you’ll have a poor conversion rate. Definitely worth checking. When you’re putting together your Dynamic ads, you still need to add some kind of copy and images. Lifestyle images in particular need to be quite compelling, and it can be worthwhile to hire a professional photographer to put together those images. They have the trained eye you might not, and can come up with something surprisingly creative for you. WordStream has a good article here about writing compelling ad headlines. Likewise, you can find a pretty good post about copy here, and one about images from Hubspot here. Doing some deeper reading is always a good idea, and you can get a lot of inspiration from many of the “here are successful examples” articles that abound online. Once you’ve gone through these troubleshooting steps, chances are you’ll have some pretty well put together ads at the end of the day. I’m cheering for your success! Are Facebook Ads Worthwhile for Dropshipping Businesses?